When pot was legalized in Oregon in October 2015, I joked that it wouldn’t be long before we started seeing artisanal, small-batch collaborations with other Portland mainstays. As of 20 minutes ago, pot is now officially legal to buy in Oregon! Can't wait for those new @saltandstraw and @BlueStarDonuts flavors. 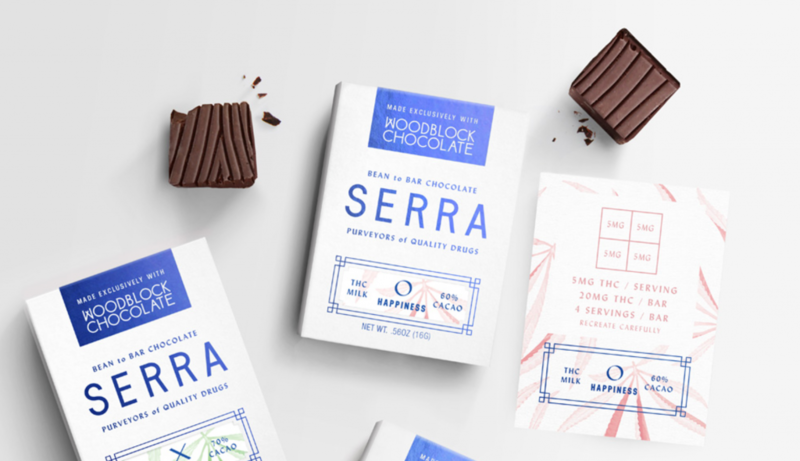 It took a little over a year before local artisan chocolatier Woodblock Chocolate teamed up with Serra Cannabis to make the most twee edible you’ve ever seen. 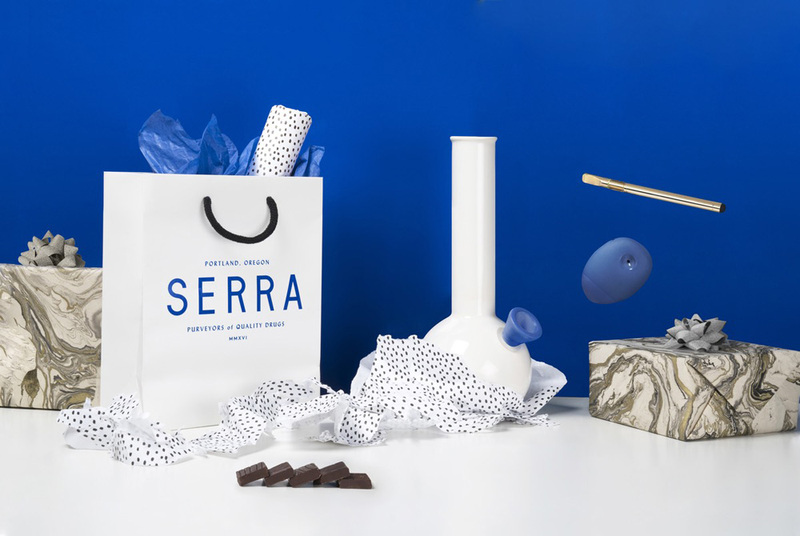 It’s no surprise that this product came from Serra. Walking into their store is like stepping into an Apple Store, but where every product gets you high. Even their website is immaculately designed, with branding and identity work from OMFGCO, the same design agency we used for XOXO 2013. The legalization of marijuana was a godsend for the local newsweeklies in Portland. 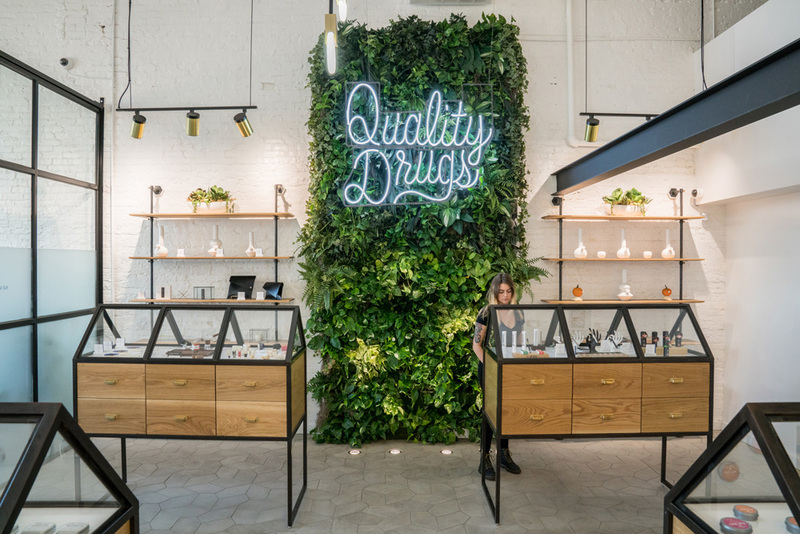 In addition to new editorial sections, a huge chunk of their advertising is now cannabis-related: dispensaries, edibles, accessories, merchant services, and events. We’ve had a multi-course marijuana pop-up brunch (called “Wake and Bake,” of course), wine and weed pairings, and a cannabis-infused six-course meal by Noble Rot’s head chef. I don’t even smoke pot, only rarely eating a tiny edible to help me sleep, but I’m fascinated by the rapid gentrification of weed and how it became instantly mainstream here. Partly, it’s because I grew up in a time when pot was still vilified—”I learned it from watching you, dad!”—so seeing it marketed as a high-end item with gorgeous branding in fancy stores is a novelty. And partly, it’s because of Portland’s innate ability to turn anything into a hand-made, artisanal, farm-to-table experience. But increasingly, my interest in the Portlandification of pot is with the deep racial and economic disparity that it represents. It’s criminally unfair that an entire industry appeared overnight to cater to mostly white, middle-class Portlanders—while 137,000 people, predominantly black and Latino men, sit in prison for drug-possession charges. In 2015, more people were arrested for marijuana possession than all violent crimes combined. But here in Portland, after 18 months of legalization, the lack of any negative impact on the economy or crime is a stark reminder of how absurd, and systemically racist, our federal drug policy is.